This month we place behavioural change under the spotlight in a special section, where our expert contributors offer their thoughts on areas such as translating the theory into practice, applying it to brand planning and the supporting function played by design. There’s also an introduction to the COM-B model developed at the UCL Centre for Behaviour Change. If you’re not familiar with this, its uses include identifying goals and then deciding on what might constitute an appropriate intervention. For this month’s issue I spoke with Ipsen’s new chief executive David Meek about his company’s strategy for growth and - appropriately enough, as we sat down at the ESMO meeting in Copenhagen - his hopes for new cancer drug Cabometyx. 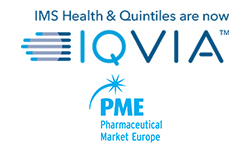 We covered the strategic pillars Ipsen is counting on for success and looked at the strong progress the French firm is making in the US - where for the first year its operations there are its number one affiliate by revenue - and the changes to its primary care business model in China. 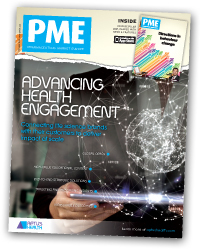 Also in this issue is a report on a roundtable meeting convened last month to examine the impact of the millennial HCP, that saw participants investigate the positive changes millennials are bringing to healthcare and look at how millennial attitudes aren’t restricted to ‘generation now’.